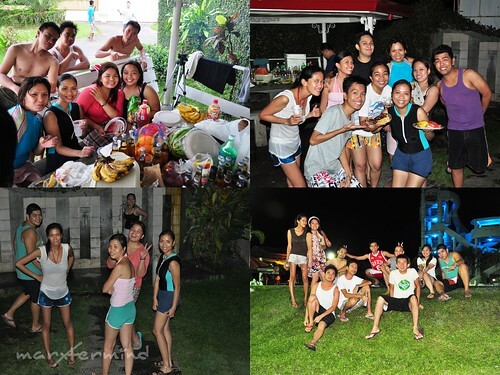 Our team decided to have a get together outing for all that have been part of the group / company, simply to bond and have fun! Each of us contributed PHP 800 which is already included of resort entrance fee, accommodation, transportation, food and beverages. 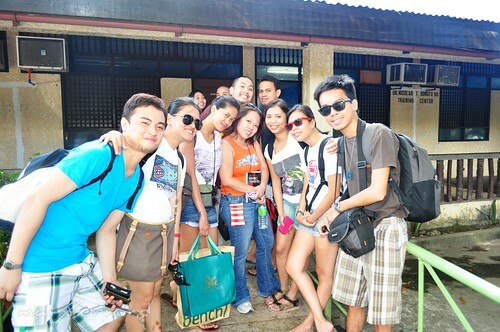 Since we’re on a tight budget we ended up in Pansol, Laguna. 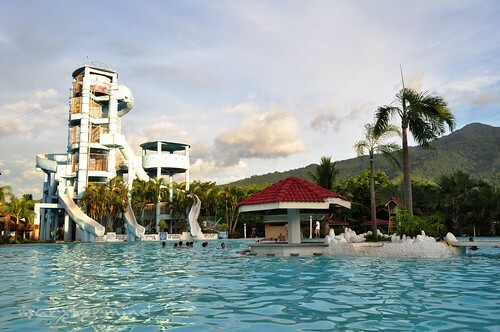 Pansol is known for private / public pool, hot spring and resort that accommodates big and small groups for gathering, overnight, outing, and team building. La Vista Pansol Resort is nestled between the Laguna Lake and Mount Makiling, that has the relaxing back to nature ambiance. 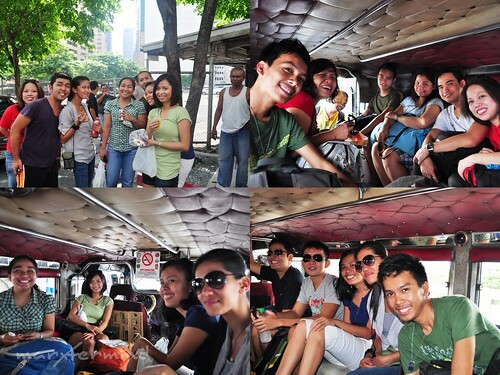 We hired a jeep that took us from Makati to the resort and took us back to Makati the next day. There are also bus-lines that will take you to Pansol Laguna, you can ride HM Transport bus at Cubao Terminal or Greenstar Express bus at LRT Buendia. We arrived at the resort pass 12:00 PM, we ate our packed lunch first at the holding area since we can’t check in to our room yet. 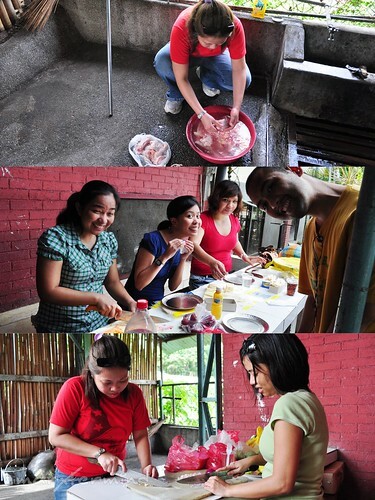 Afterwards, we prepared the foods and everything that we will be needing for our dinner and socials later. Each of us has its own task and must help each other, do your task or else! Moving on, we checked in our bags to our room and moved some things and food and beverages in the hut that we reserved (near the pool). Dun na din kami nag-ihaw and nagluto ng ibang pagkain! Because we’re on a tight budget, we only rented one dormitory room that could accommodate all of us. It’s a big room with 16 beds, 2 toilet and 2 shower room and 2 sink. 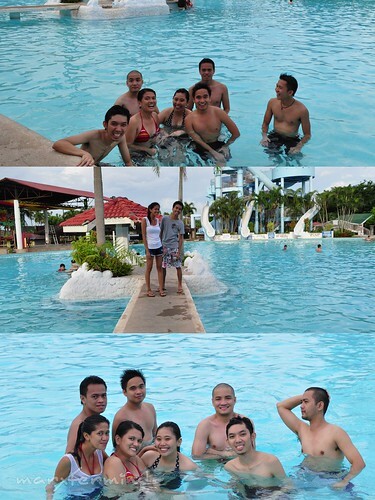 Afterwards, we went to the La Vista Wet N’ Wild area. I can’t resist anymore, I took a dip in the pool afterwards. Then we went slide! I love it when there’s a slide in the pool! At 10:00 PM, we went back to our cottage, nakakagutom! I ate then afterwards I decided to wash up! I just want to chill out and don’t want to take a swim anymore. So I went back to our room and took a shower. 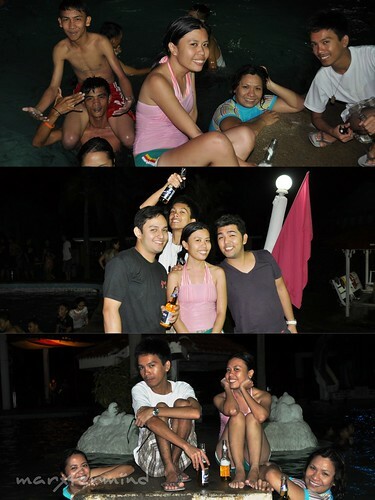 Since most of my office mates were in the pool, and I didn’t have much things to do than drink, we just took some pictures. I asked my office mate to look for a videoke machine. We went to the reception area and the receptionist lead us to the videoke area located at the other part of the resort, more private and less noise. We didn’t have much coins in our pocket so we went back to our room to get some. When I finished my song, one of the occupants nearby went out and asked us if we can just have our karaoke sessions in the morning. So we respectfully stopped and went to the reception area to ask if there’s a time limit for the videoke machine. When we’re about to go, one of the occupants on the other side told us that they wanted to sing to. This is place for fun and noise, so if you want to take some rest go to Tagaytay and hotel for you to have a serene and peaceful night.We asked the receptionist and told us that there’s no limit for the karaoke machine, so we brought along our other office mates with us and went back to the karaoke area and continued our felt-short jamming awhile ago. At around 2:30 AM, I fell asleep at the table! Di ko na kinaya, nakatulog na ako! After awhile, me and my office mates went back to our room, then slept! Three of my office-mate were left in the karaoke area and continued their karaoke until 4:30 AM! Good Morning La Vista. At 7:00 AM, most are already awake! Grabe 3 – 4 hours sleep lang? I’m still sleepy but we need to get up by 8:00 AM since we need to check out by 9:00 AM. I joined my office mates who were in the lobby, drinking coffee. At 9:00 AM, we left La Vista Pansol and had our breakfast on our way! The resort has a lot of attractions to offer like basic pool, wet n’ wild, zip line, tree house, animal park, obstacle course to name a few. 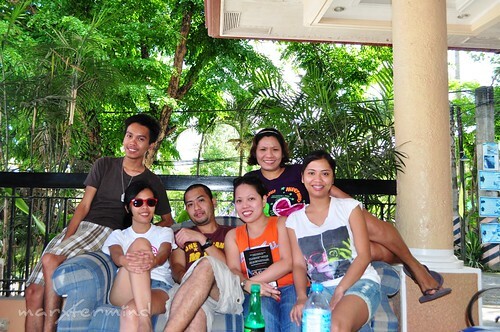 But the pool, slide and videoke are already enough for me to enjoy this outing. 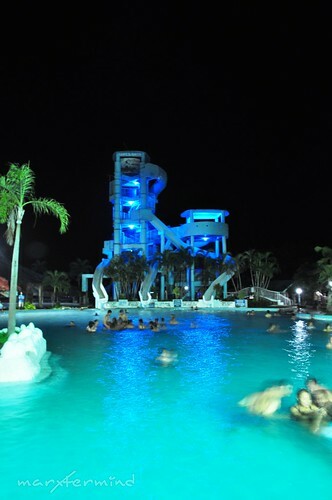 This is not for relaxation and de-stressing, it is a place for fun, party and noise. Though the place is so-so and usual, I still enjoyed this outing a lot, happier than the last time. Next story Eat Out at Chelsea Market and Cafe! @Anonymous, we went there last June 2011! Thanks for sharing.. ask ko lang din kung kailan kayo nakapunta sa la vista pansol? kasi nung nagpunta kami last november 2010, di pa sya fully operational dahil gawa daw ng ondoy. 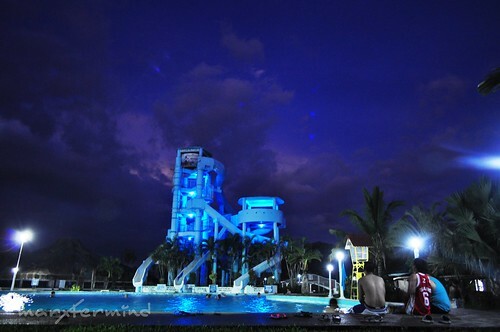 di din bukas ang wet n wild na part. Hi Janine, I emailed my office mate and here's what she said, "Yes separate pa din pero my discount (10%) ung first 16, kasi good for 16 lng ung dorm.. in excess of 16 pax, regular rate n ung entrance fee." meron akong favorite hang out dyan sa laguna e. Sosy kaya hindi mo aakalaing 500 lang ang entrance sa day tour. Try mo sa 88 resort and Spa. Mga korean naman mga kasama mo dun. para kang nanonood ng teleserye nila live. hahaha! 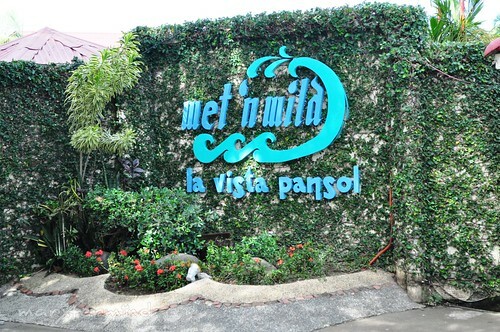 Hi, ask ko lang kung nag bayad pa kayo for the wet n wild attraction? included ba xa if u get the dormitory type room? hope to hear from u soon thanks! wiiiih! 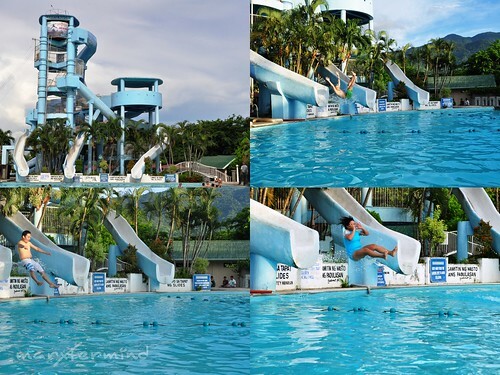 gusto ko rin ang pool na may slide. Hindi siya pool pag walang slide e. hahaha! 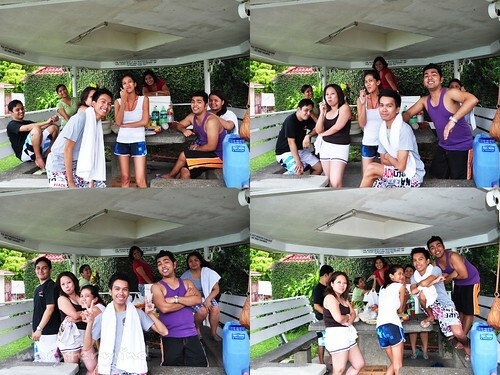 Nothing beats company outing talaga. Kalimutan na ang pagka-professional na yan. 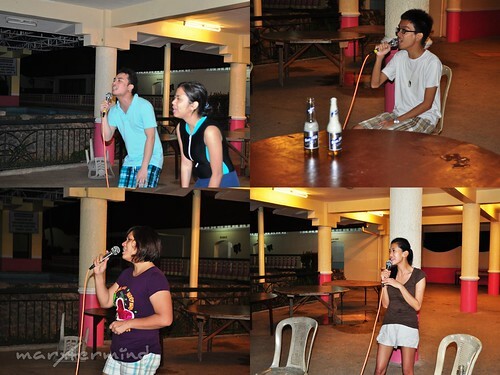 Videoke lang solb na talaga. Favorite hobby ko rin yan. May tama kayo… kelan ba naging pahingahan ang Pansol no? KJ lang yung babae na yun.